"I had a positive stay. The hotel was clean and pleasant for hanging out. The staff was especially warm, friendly, and accommodating. 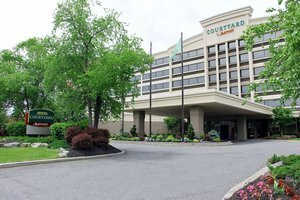 I recommend staying here.2018-04-17"
"Convenient to MetLife Stadium, but the hotel was in an office and industrial area, so there wasn't much to walk to.2017-07-25"
"The room, hotel lobby, and restaurant were nicely renovated in a contemporary style. The hallway lighting was too dim, though. Nice hotel with competitive rates.2015-11-09"
"Hotel was clean and well-appointed, and the staff was friendly and helpful.2015-04-29"
"Hotel room was clean and well-appointed. Good wireless Internet connection. Front desk clerks were pleasant.2015-02-04"
Learn more about Lyndhurst Hotels & Motels in our Lyndhurst Hotels Guide.